At Family Health Professionals Helensvale, we want your body to function as best as possible, and that means taking a look at what helps it to work properly and what can cause dysfunction. Our team is happy to offer food sensitivity testing for patients of all ages known as an Ecology Test. 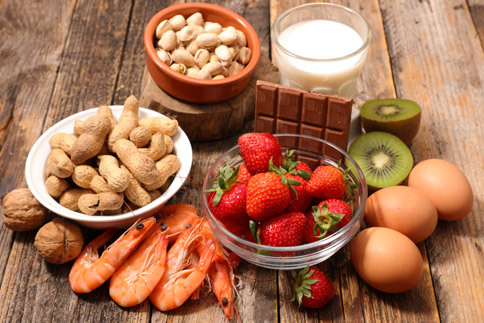 Why Food Nutrient and Allergy Testing? Dr Luke Hennessy, Chiropractor has been using this efficient and non-invasive testing protocol for close to 20 years with proven positive results. He uses a Kinesiology-based technique to specifically test your body’s response to hundreds of common foods and chemical deficits and excesses. From these results Dr Hennessy can specify a tailored nutritional set of guidelines that your body requires for optimum health and to eliminate and eradicate symptoms of poor health. Find out what food sensitivities may be causing your body to work overtime. Contact Family Health Professionals Helensvale to schedule your consultation and test. We look forward to assisting you live a healthy and happy life.